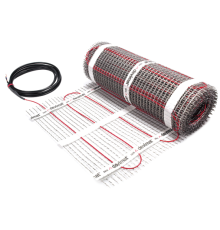 DEVI manufactures a wide range of tried and tested heating cable solutions–everything from thin heating mat systems mainly intended for renovation purposes, to complete systems for room heating in private dwellings, and commercial and industrial buildings. DEVI’s intelligent floor heating systems provide a comfortable and even temperature all winter long, in any room of the house. They are silent, allowing peaceful enjoyment of your surroundings. DEVI also supplies ice and snow melting solutions. Our cables and thermostats keep traffic areas, loading ramps and roof constructions safe in snow-prone areas. We provide anti-frost systems and heat tracing for pipes and roof gutters, and we heat the soil in greenhouses for seed propagation. Your smartphone, the perfect temperature controller – smart – electric floor heating regulation has never been easier. The intuitive app control communicates via a secure cloud connection (such as what is used by banking applications), offers energy savings, and much more. Schedule your home heating to reduce cost – the system will automatically lower the temperature when you do not need it. Set the temperature and forget, the electric floor heating system fits your rhythm to provide seamless superior thermal comfort. Devimat DTIF-150 uses a twin conductor heating cable for ease of installation and very low EMF. The mat thickness of only 3.5mm enables underfloor heating installations into most quality tile adhesive, with minimal increase in floor height. Devimat DTIF-100 uses a twin conductor heating cable for ease of installation and very low EMF and is suitable with timber floors. 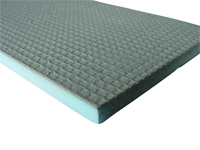 The mat thickness of only 3.5mm enables underfloor heating installations into most quality flexible tile adhesives with a minimal increase in floor height. DEVIflex 18T is a high-performance, flexible electrical heating cable. Its round profile makes it simple to install in a wide range of indoor floor constructions and pipe tracing systems. It also features a clearly visible round cold lead to avoid accidentally installing heated cable in the wall conduit. DEVIflex is a fully screened twin conductor cable with a tough red PVC outer sheath. 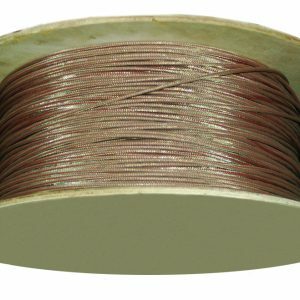 This cable is made of top quality materials and a rugged construction. Rated at 18 watts per metre. 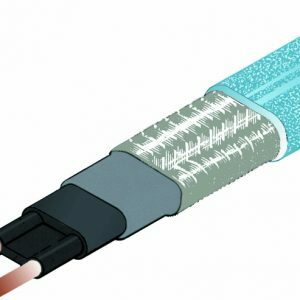 DEVIflex 10T is a high-performance, flexible electrical heating cable. Its round profile makes it simple to install in a wide range of indoor floor constructions and pipe tracing systems. It also features a clearly visible round cold lead to avoid accidentally installing heated cable in the wall conduit. DEVIflex is a fully screened twin conductor cable with a tough red PVC outer sheath. This cable is made of top quality materials and a rugged construction. It has very low EMF and is suitable with timber floors. Rated at 10 watts per metre. We recommend the use of Insulation with electric floor heating to improve warm up times and reduce running costs. Frost protection of pipes. Self-limiting parallel heating cable. The power output of the conductive core material increases or decreases in response to ambient temperature changes. Frost protection of roofs and gutters. Self-limiting parallel heating cable. The power output of the conductive core material increases or decreases in response to ambient temperature changes. Frost protection of roof gutters and downpipes. Used for ice and snow melting on roofs and in gutters and down pipes. Silicone cables are primarily used for frost protection of cold store door frames, hoisting gates and pipe protection. The cables are suitable for low or high surrounding temperatures. The maximum design output of the silicone cables is 40 W/m. Silicone heating cables are cut and rated for the task. Please state voltage, wattage, cable length and cold tail length when ordering. F-Board is designed to be used beneath floor heating systems to minimize downward heat loss and aid in faster warm-up times. Without the use of F-Board insulation, some of the energy generated from the heating elements travels downwards into the floor below leaving less heat available to warm the tiles. This is great news for home owners currently using or considering floor heating. Designed and developed based on consumer feedback, this thermostat has a sleek and modern appearance with a user-friendly touchscreen, is easy to install and is the most intuitive timer thermostat on the market today. 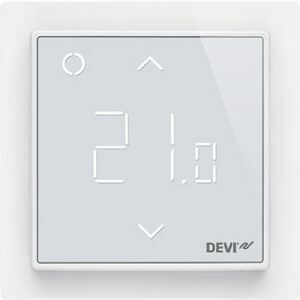 Further to this, the DEVIregTM Touch offers a number of built-in energy saving features designed to save the customer money by reducing the overall energy consumption of their floor heating system. DEVIregTMTouch offers some intelligent energy saving features like a built-in open window function that makes the thermostat able to register a quick drop in the temperature. The thermostat then turns off the heating, making sure no unnecessary energy is wasted. With its large touch screen display this innovative thermostat offers users superior usability and accurate temperature control for optimum comfort. Its large touch screen display is very simple in nature, complete with a well-lit screen, clear icons and text, and a selection of accessory frames. Other notable features include a code system for remote trouble shooting and fully flexible timer program with a 15 minute time setting accuracy. Installers praise the easy set-up wizard and unique code option to setup the thermostat in a matter of seconds. The very same code can be used to export the settings to a computer to ease remote trouble shooting. The possibility to replace many other branded thermostats while re-using the existing floor sensor makes the DEVIregTM Touch the most suitable controller for both new build and renovation situations and its 2-part construction makes it possible to finish the installation at a time that best suits the installer.